We are working hard to bring you a Creative Year and our first retreat will be launching in March 2019. The following online and fully digital Creative Retreats & WORKSHOPS will be hosted here directly on the website and we hope you come and play with us. Book your spot over in the store and we will be in touch with the next step. This section is now live! Launch: 15 March 2019. Available with Earlybird discount in store now until 1 April 2019. This event is now available in store. Please purchase your #PrintAndPlay Party kits before 15 April 2019. Kits will be emailed to you between 16 and 20 April '19. 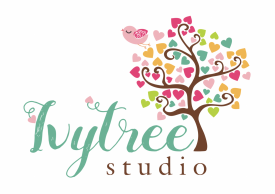 Please print your kit before the 27th so you can play along with us in the Ivytree Studio Friends Facebook group. Club members will also be able to play along with us in the Club community group on Facebook. We accept Paypal for all international transactions. We accept Paypal for all local South African transactions.